University of Newcastle Laureate Professor Graham Goodwin has been named the 2013 recipient of the Rufus Oldenburger Medal by the American Society of Mechanical Engineers (ASME), in recognition of his fundamental contributions to automatic control theory and practice. He is only the second Australian recipient of the Medal and the first whose research is based in Australia (the Medal was previously won by Australian-born American engineer Gordon Brown in 1977). The Rufus Oldenburger Medal was instituted in 1968, and Professor Goodwin said he felt "inspired" to join the prestigious list of previous recipients from institutions such as Harvard University, U.C. Berkeley, Stanford University and MIT. "I am honoured to receive this medal as a culmination of a lifetime of work on dynamic systems and automatic control," said Professor Goodwin. He will receive his award at the ASME 2013 Dynamic Systems and Control Conference in Palo Alto California in October. This is the latest in a string of prestigious international awards recognising Professor Goodwin's highly distinguished career filled with globally significant engineering contributions. His current research includes developing an artificial pancreas to assist people suffering from Type 1 Diabetes; working on ambulance scheduling to improve the effectiveness of emergency services; and the control of systems to improve the upload capacity and operation of 3G and 4G mobile telecommunications. At the peak of his career, Professor Goodwin said one of his greatest joys remained his students at the University of Newcastle. "I am excited to be able to work with young people who continue to inspire and challenge me," he said. Graham Goodwin obtained a B.Sc (Physics), B.E (Electrical Engineering), and Ph.D from the University of New South Wales. 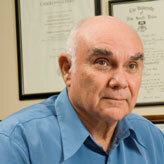 He is currently Professor Laureate of Electrical Engineering at the University of Newcastle, Australia. He holds Honorary Doctorates from Lund Institute of Technology, Sweden and the Technion Israel. He is the co-author of nine books, four edited books, and many technical papers. Professor Goodwin is the recipient of the Control Systems Society 1999 Hendrik Bode Lecture Prize, a Best Paper award by IEEE Transactions on Automatic Control, a Best Paper award by Asian Journal of Control, and 2 Best Engineering Text Book awards from the International Federation of Automatic Control in 1984 and 2005. In 2008 he received the Quazza Medal from the International Federation of Automatic Control and in 2010 he received the IEEE Control Systems Award. He is a Fellow of IEEE; an Honorary Fellow of Institute of Engineers, Australia; a Fellow of the International Federation of Automatic Control, a Fellow of the Australian Academy of Science; a Fellow of the Australian Academy of Technology, Science and Engineering; a Member of the International Statistical Institute; a Fellow of the Royal Society, London and a Foreign Member of the Royal Swedish Academy of Sciences.